I once read that there is a history of adding cardamom to coffee in the Arab world. Traditionally, a few pods would be added to the grounds to spice up the usual brew. I'd never cooked with it before, so I didn't really know how it would taste or smell. I've definitely tasted it before, but I couldn't tell you where. In chocolate maybe, or in Indian food? 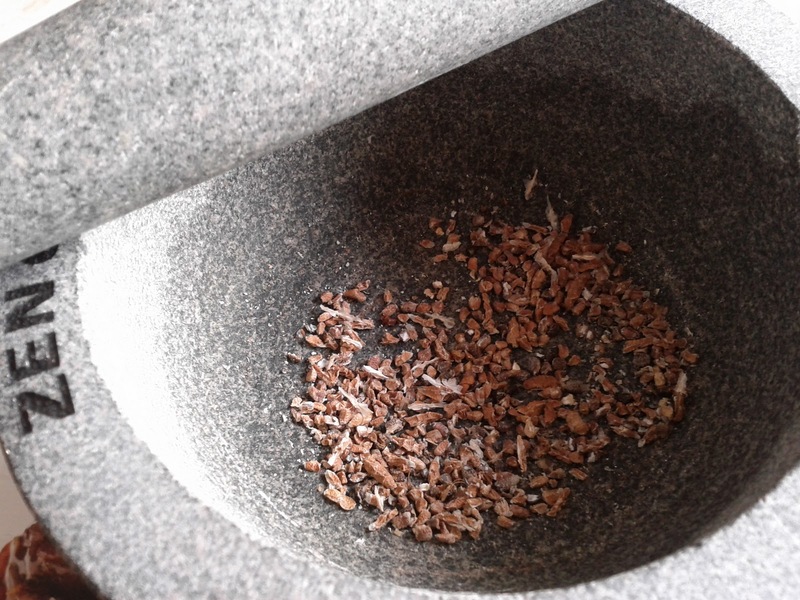 The experiment begins with a mortar & pestle. Roll a sip around on your tongue and it coats nicely. The cardamom adds another layer of complexity similar to that of nutmeg, but more insistent. It plays little spoon to the coffee on the palate. A taste reminiscent of ginger compliments the blueberry notes of the Ethiopian Sidamo surprisingly well. The two notes toss a ball back and forth across your tongue for a few moments before they settle down . Wow! Enamoured as I am with this coffee bean, I couldn't ask for a better cup. This flavour has broached the top three of all those we've tried in my books.